Rebel Legion :: View topic - Edmonton chewbacca build. 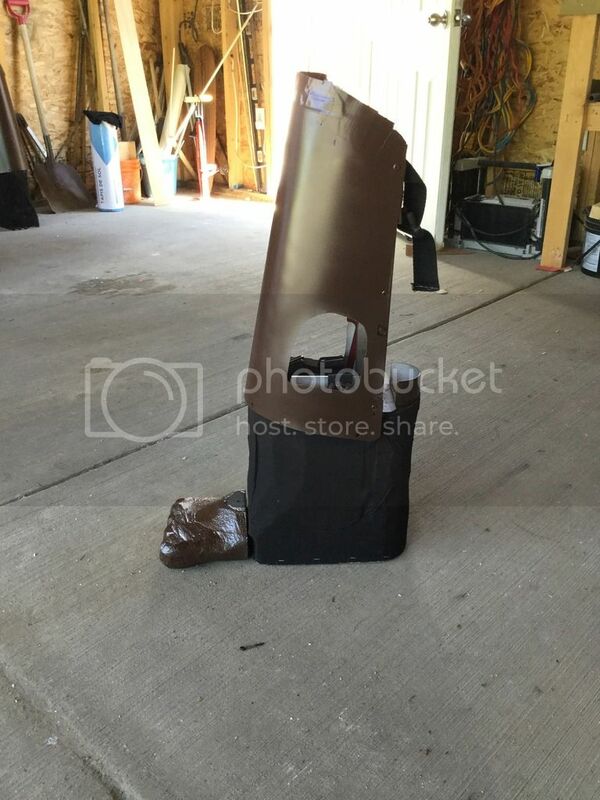 Posted: Sun May 21, 2017 6:48 pm Post subject: Edmonton chewbacca build. My name is Jon and am new to the rebel side. I've been trooping with the badlands as a sandtrooper, and resently added a tie pilot. But I've been wanting to do a chewbacca for quite some time now and have finally started on him. I've finished my stilts, have a Wookiee workshop skull/mask kit on order along with all that hair!.. but in the mean time I picked up some from a local (Edmonton) sally beauty supply to practice straightening and latch hooking. My first question is.. won't be the last I'm sure. But, how do I load pics from my gallery to the site? Hey there! Welcome to the Rebels! I'm excited to have a new Chewbacca in Edmonton, great to see some face characters around here. The recommended way to display photos on the forums here is to set up a photobucket account and then link it using the "img" forum shortcut above your post. I can be more detailed if you need it. Yes please. I set up a photobucket account, but not sure how to transfer the photo/link.. I'm sure I'm totally missing something obvious..
Alright, so once you upload your photo to Photobucket, click into the the individual picture. Just above the photo itself will be a row of coloured icons for sharing. (Facebook, Twitter, etc) To the right of those will be four grey icons, (link, envelope, download, share). In the the pop up that appears, on the right side, there is a "Photo Links" section labelled 'Email & IM", "Direct", "HTML", and "IMG"
That's it. Do that for each picture if you have multiple to share and it should appear normally here. ok... i see a bunch of letters so i hope this works.. Thanks Colin. I'm much better with tools than computers.. lol..
Looks like a good start. Make sure you also pop into the Chewbacca/Wookiee Forum to create a work in progress thread. The members and judges there can give a lot of great advice on your build for easier approval.